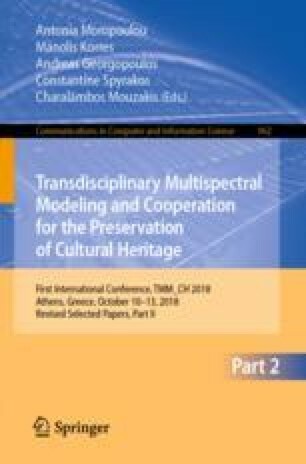 The paper is based on the activities of the EU-funded Project INCEPTION which realizes innovation in 3D modelling of Cultural Heritage (CH) through an inclusive approach for time-dynamic 3D reconstruction of artefacts, built and social environments. Specifically, the paper describes the various modern approaches of AR/VR Apps in CH and explores their potential in opening new possibilities on the way Historically or Culturally significant sites and objects can be presented using digital means. The authors argue if AR/VR technologies are today mature enough for facilitating CH adequate knowledge interpretation and interaction, while at the same time exploring the existing technologies to deploy AR/VR solutions in the field. Moreover, the paper focuses on the Building Information Modeling (BIM) applications and presents how CH information can be collected and presented in a modular way. The scope of the Historical Archive - Museum of Hydra (ΗΑΜΗ) demo case in Hydra, Greece, as part of project INCEPTION is presented, comprising the development of a Web/Mobile App (AR/VR), offering an innovative, interactive & enriched alternative to conventional Museum/CH Site Tour Guiding.